Whoever said that older people shouldn’t embark on international journeys has definitely never met a savvy senior traveler before. 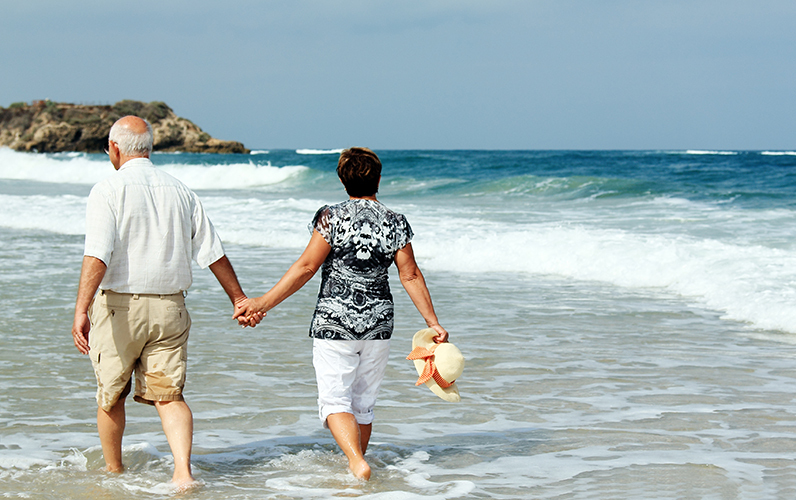 One of the major trends of today’s society is for seniors to buy plane tickets and explore the world. If you think about it for a second, it makes perfect sense to invest in something worthwhile when you have so much free time. As many senior travelers love to say, “Age matters only if you’re a cheese”, and apparently, travel is the fountain of youth. Nevertheless, even with better health in old age and an increasing affluence, elderly people are still having problems with medical insurance for travel abroad. The truth is that it can be very complicated to buy travel health insurance if you are past your prime, or suffering from long-term illnesses (eg. heart-disease, diabetes). The good news is that elderly people can also get affordable travel insurance, according to Express.co.uk. You probably already know that regular travel insurance includes travel interruption insurances, baggage, health, evacuation and flight insurance. Let’s see how you can make it happen even if you are older. 1. How Do Elderly Pay for Travel Insurance? Everybody knows that elderly people pay more for any type of insurance, because they are most likely to actually need it. If you are in excellent physical health, it will be easier to get insurance, but chances are that you are already suffering from a minor long-term illness, that can add to the costs. Although most insurance companies are reluctant to give out policies to senior citizens, due to the misconception that they have worse health than younger people, however, a revolution has begun. First of all, companies which cannot provide with offline or online travel health insurance are obliged to redirect them to a capable specialist. In addition to this, more and more insurance companies, like Staysure.co.uk understand that in the future, the population of senior citizens and old age pensioners will reach unprecedented numbers. It is actually predicted that over one third of the UK’s population will be older than 55. The dynamics of modern population has changed significantly: we live longer and healthier, have less children and remain active later in life. All of these things indicate to better insurance rates for elderly people. 2. Why Get Old-Age-Pensioners (OAP) Health Insurance? Traveling may sound like a lot of fun, but nothing is without risks, especially for seniors. The stress of a 20 hour flight is a lot even for people in their thirties, so you can only imagine what sort of nightmare it will be for you. As much as we would like to block negative thoughts from our heads, there’s no need to be irresponsible. It’s always good to know that you are covered in case of complications while you are away. The OAP travel policy will do this for you. Not only is it not expensive, but it also has good coverage. It is a small investment that can prevent the worse from happening. You should make sure to add it to your travelers’ insurance policy before setting out on your trip. According to Sundaytimes the average cost of treating serious illnesses abroad costs, on average, 2,040 pounds, while an uninsured hospital visit in the United States is approximately 6,000 pounds. 3. Why are Some Premiums Expensive, and Are they Useful? The generic answers that insurance companies give when they refuse to insure older people is that premiums reflect an increased risk. 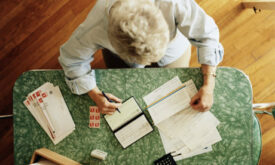 Sadly, age is one of the major factors when it comes to calculating premium rates. Basically, the older you are, the higher the chance that you will fall ill, or be involved in some sort of accident. The insurance company will set its price irrespective of the fact that many 70 or 80 year olds are healthier than 50 year olds. They have no interest in rewarding you for being fit, but they will definitely not spare you if you are suffering from a long-term illness, because their ultimate goal is to make more money. So should you buy travel insurance? The answer is a definite yes, especially since you are facing more risks, and can probably not afford out-of-pocket expenses. If you travel at least six-seven times per year, you could definitely consider the annual “multi-trip” policy that will have all of your trips covered. Keep in mind that upper age limits for this policy are a lot lower than regular covers. People over the age of 65 who are in search of medical insurance for travel abroad should take into account general health conditions, duration of the trip and activities required during it. This way, they will better understand how much coverage they need (and avoid additional costs). General health condition: As we already mentioned, many people in their 60-70’s are a lot healthier than younger people. This matters not for the insurance companies, but it will help you determine how much coverage you should purchase: if you are susceptible to diseases and infections, you should go for a higher policy plan. Duration of Trip: The longer you stay abroad, the higher the chances of falling sick or having an accident. Opt for a better policy in this situation. Activities Required during the Trip: Do you have any idea what you will be doing during your vacation? We are not talking about beach volleyball or anything of the sort. For senior citizens something as trivial as a car drive can be strenuous and lead to sickness. Comprehensive coverage policy should be considered in this situation. Medical Insurance Travel Abroad Advice: Do You Really Need it?